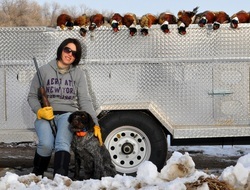 UPLAND BIRD GUIDED PACKAGE HUNTS. We hunt on ORVIS endorsed hunting grounds at PLEASANT VALLEY HUNTING PRESERVE which is private land of approximate 4500 acres that has been farmed and protected to ensure quality hunting and the best over all experience. we offer lodging lunch, day rates and hourly rates. Best for corporate parties and private hunts, call or email for availability at 435-790-6130 or redrockdd@gmail.com. Guide prices: 4-6 hunters per guide. Lodging and other request are upon group size and availability!! !